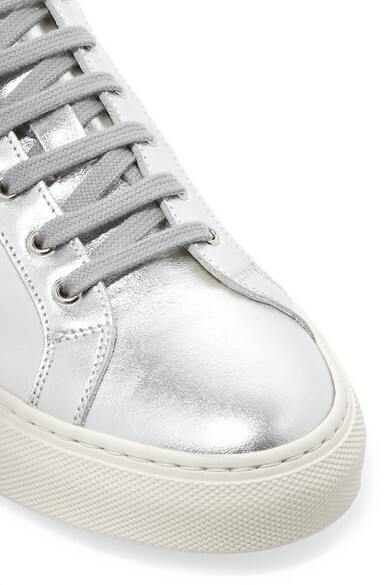 Common Projects has gained a loyal following over the years - everyone from Jennifer Aniston to Sofia Richie has been spotted in the brand's minimal sneakers. 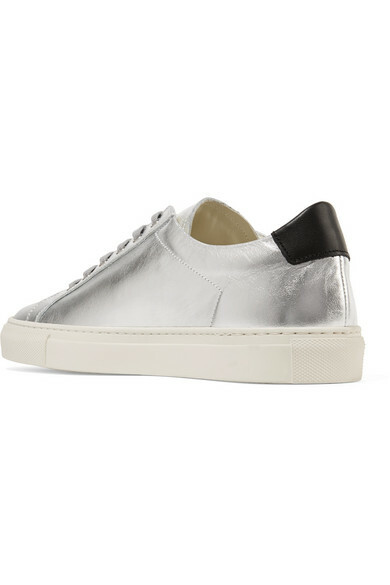 Made in Italy from silver leather, this 'Retro' pair has a low-top silhouette and is printed with the signature serial code. 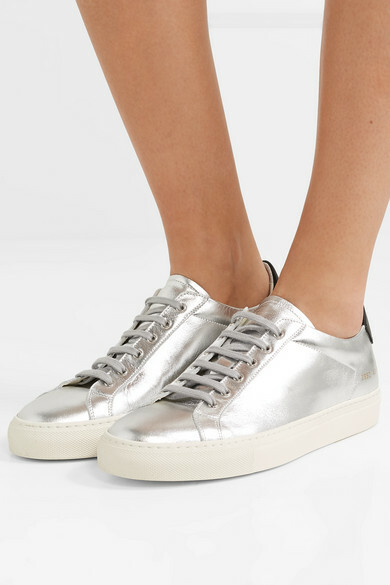 Wear them with mini skirts and jeans. Shown here with: Les Rêveries Top, Paul & Joe Blazer, Paul & Joe Shorts, Wandler Tote, Alighieri Earrings.